Will Cancun be more productive than Copenhagen? 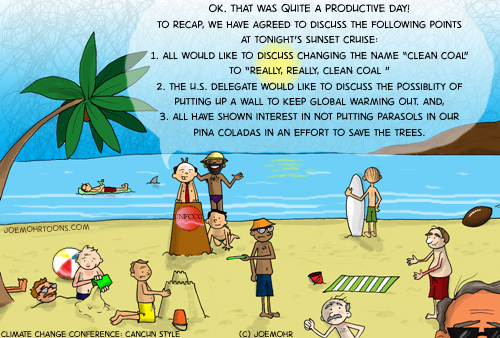 Visit the rest of Joe’s environmental cartoons on JoeMohrToons.com. And follow him on Twitter @GreenCartoons. ← Hank D and the Bee: A Green Cartoonist? Nah.